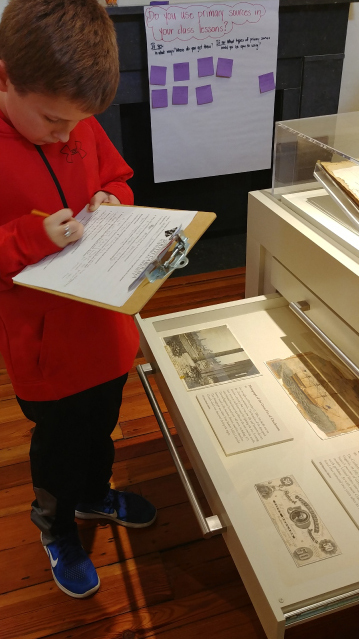 The South Carolina Historical Society in Charleston offers a variety of field trip options including 30 minute programs, self-guided scavenger hunts as well as guided tours, and Archive and Library programs. These programs are designed around South Carolina Social Studies Standards. Teachers and chaperones free of charge. *A minimum of 15 students is required for field trip programs. *Groups of 35 and more children must register for a minimum of 2 programs. *Groups of 70 and more children must register for 3 programs. * Unfortunately due to space restrictions, we cannot accommodate groups of more than 100 students at a time. However, we are happy to schedule your trip across consecutive days. Our education staff will guide your students through the Museum, highlighting areas of interest to South Carolina Social Studies standards. Teachers can provide students with this scavenger hunt that guides students through the museum’s exhibits. 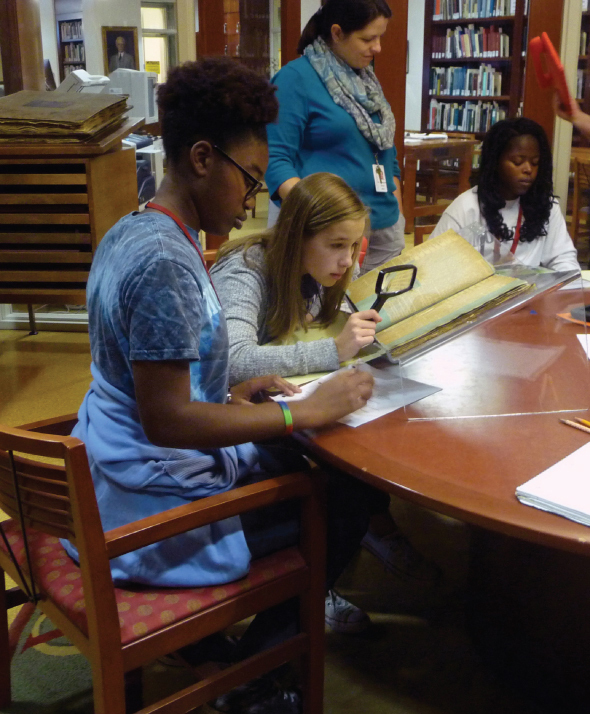 Students will visit the Archives and learn about using and analyzing primary source documents. Cancellation policy: We require written cancellation at least 48 hours in advance to receive a full refund. Submit your videos to bailey.knight@schsonline.org for a chance to win a free field trip to the brand new South Carolina Historical Society Museum.